Lamb Report: Not only did every lamb survive last night in the barn, but we gained one. Zelda (who is Lucky 13's mother and the smiling, snowy-faced sheep in the middle photo) had a beautiful baby girl just before midnight under the big full moon. During our 4 a.m. check, the dogs were loudly patrolling the steep hillside. More coyote countermeasures will be in place tonight: bright lights, loud music, llamas. (Operation Llama Relocation is now complete.) Current Lamb Count: 14. This morning I had no idea how appropriate that caption would be today--I just spotted the first fireflies of the season! I understand why dogs are good vs. coyotes but what's the deal with llamas and donkeys? Glad to hear all is well on the farm this morning! I hope you guys got some sleep in between the new lamb's arrival and the dogs' patrol report. 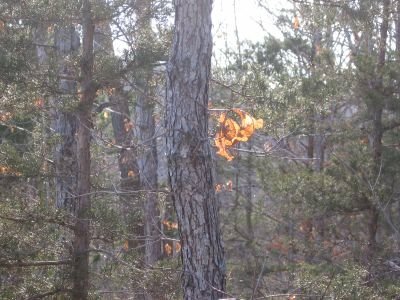 I thought that was fire in your forest when I first saw that photo. The first thing I did early this morning was check on your lambs. So glad to know you have the situation under control. Congratulations on being "Grandma Shepard," again. Oh, I'm so glad you had a good night with no losses! Locking them up in the barn does seem like the best solution. So what music do you use? I luff the llamas! Maybe they will kick some ***. And spit at them too! Good luck with your safety measures. I hope the evil preditor finds somewhere else to eat supper until the babies get bigger. So heartbreaking. Thank you for sharing this with us. Its real life. I glad to hear of your safe night and of your additional lamb. I'm happy to hear that the barn did the trick, and the dogs are on the lookout! And congrats on the new little lamb! I actually thought that was a fire too - amazing! If a llama spit at me, I'd definitely back off. Woolies unite! 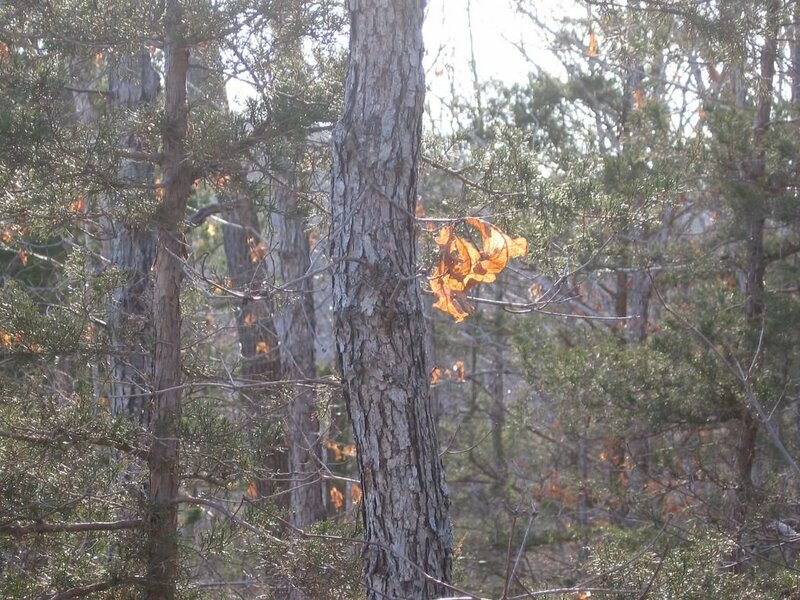 Like Pablo, I also thought the photo was of a forest fire, and thought "Oh no, not this now!" Glad it's not, and I'm also glad you have a new lamb. Best of luck with that precious flock! Happy yr lambs survived the night, glad it wasn't a fire I spotted in the photo!